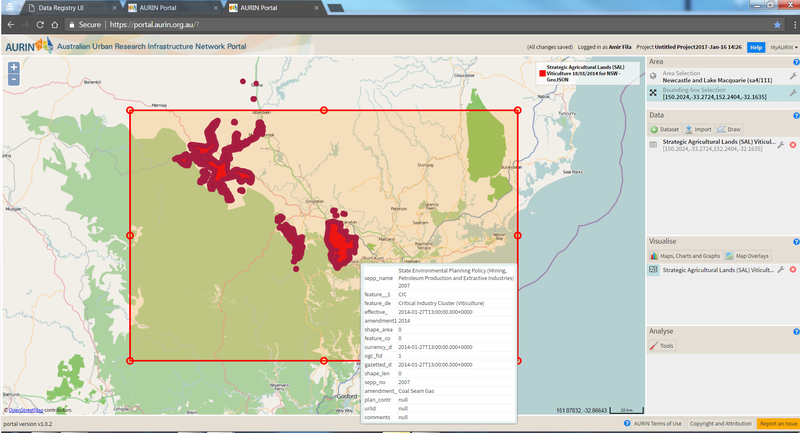 AURIN has released some new datasets from the Government of New South Wales – Department of Planning and Environment (NSW-DPE) and the Australian Bureau of Statistics (ABS) available now through the AURIN Portal. The Government of New South Wales – Department of Planning and Environment has supplied data to the research community via AURIN relating to Local Environment Plans. AURIN has prepared this data for viewing, analysis, visualisation and download on the AURIN Portal. Datasets including Floor space ratio, height of building, Heritage Conservation, and Land Use Zoning can help researchers create a data rich enquiry into the built environment in NSW. Datasets such as Land Reservation Acquisition, Minimum Subdivision Lot Size and Future Residential Growth Area can help researchers gain further understanding of development patterns. New datasets from the ABS include Residential Building Approvals at SA2 and LGA level. 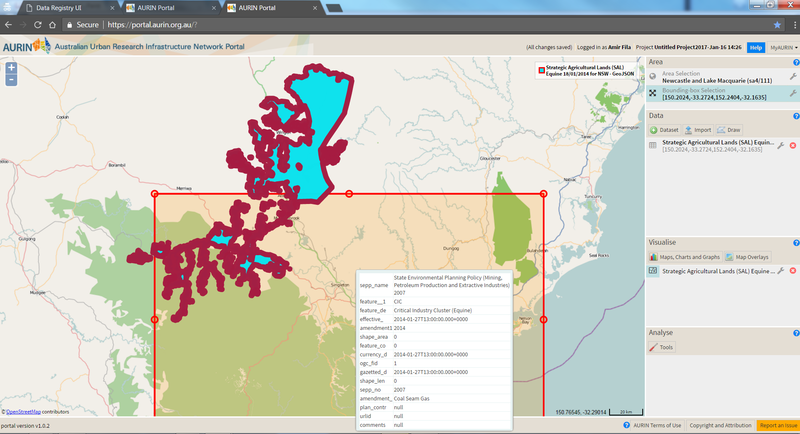 AURIN has also prepared data with thorough metadata and geometry on Strategic Agricultural Lands (SAL) from the NSW-DPE for spatial analysis. The Viticulture datasets consists of polygons showing critical industry Viticulture clusters in the Upper Hunter region. The viticulture cluster includes a highly integrated concentration of vineyards and associated wineries and tourism infrastructure in a rural landscape. The region’s unique terrain and climate, its heritage vines and diversity of soil types all contribute to the specific quality and characteristics of grapes produced in the area, especially Hunter semillon and shiraz. Also of importance is the Hunter Valley wine tourism branding based on its natural environment and visual landscape attributes and its proximity to metropolitan areas. The Equine polygon dataset shows critical industry Equine Clusters in the Upper Hunter region. The horse breeding cluster includes a highly integrated concentration of horse breeding facilities and related infrastructure covering thoroughbred and stock horse breeding centres and numerous other equine developments and support services, such as a specialised veterinary centre. – it is potentially substantially impacted by coal seam gas or mining proposals. Through analysis with AURIN’s wealth of additional socio-economic, demographic or health data the researcher can begin to unlock spatial intelligence of their study area. WANT TO SEE THIS DATA FROM OTHER STATES? This entry was posted in Agriculture, Announcements, Built Environment and Infrastructure, Crime, Data, Demographics, Education, Health, Housing, Land Use, Latest News, Local Environmental Plan, Metadata, Resources for Research, Socioeconomics, Statistics, Walkability. Bookmark the permalink.